Dr. Waters is one of a new breed of analysts for whom the interpenetration of politics, culture, and national development is key to a larger integration of social research. Race, Class, and Political Symbols is a remarkably cogent examination of the uses of Rastafarian symbols and reggae music in Jamaican electoral campaigns. The author describes and analyzes the way Jamaican politicians effectively employ improbable strategies for electoral success. She includes interviews with reggae musicians, Rastafarian leaders, government and party officials, and campaign managers. Jamaican democracy and politics are fused to its culture; hence campaign advertisements, reggae songs, party pamphlets, and other documents are part of the larger picture of Caribbean life and letters. 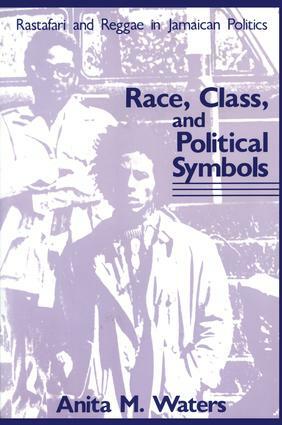 This volume centers and comes to rest on the adoption of Rastafarian symbols in the context of Jamaica's democratic institutions, which are characterized by vigorous campaigning, electoral fraud, and gang violence. In recent national elections, such violence claimed the lives of hundreds of people. Significant issues are dealt with in this cultural setting: race differentials among Whites, Browns, and Blacks; the rise of anti-Cubanism; the Rastafarians' response to the use of their symbols; and the current status of Rastafarian ideological legitimacy.